Other photos: Princess 23M- Side View, Princess 23M- Cruising, Princess 23M- Bow View, Princess 23M- Bow Sunbathing Area, Princess 23M- Bow, Princess 23M- Cockpit, Princess 23M- Cockpit, Princess 23M- Side Deck, Princess 23M- Platform, Princess 23M- Flybridge, Princess 23M- Flybridge, Flybridge Dining Area, Flybridge Helm, Princess 23M- Flybridge, Princess 23M- Saloon, Princess 23M- Saloon, Spacious Saloon, Princess 23M- Dining Area, Princess 23M- Galley, Princess 23M- Master Cabin, Princess 23M- Master Cabin, Princess 23M- Master Cabin, Princess 23M- Master Cabin Bathroom, Princess 23M- VIP Forward Cabin, Princess 23M- VIP Forward Cabin, Princess 23M- Port Guest Cabin, Princess 23M- Port Guest Cabin Bathroom, Princess 23M- Starboard Guest Cabin, Day Head, Princess 23M- Crew Cabin Bathroom, Princess 23M- Navigation Station, Princess 23M- Lower Helm, Princess 23M- Engine Room, Princess 23M- MTU Engines, Princess 23M- MTU Engines, Princess 23M- Generator, Princess 23M- Laundry Area, Princess 23M- Crane on Flybridge, Princess 23M- Flybridge Layout, Princess 23M- Main Deck Layout, Princess 23M- Lower Deck Layout. SYS Yacht Sales is pleased to assist you in the purchase of this vessel. 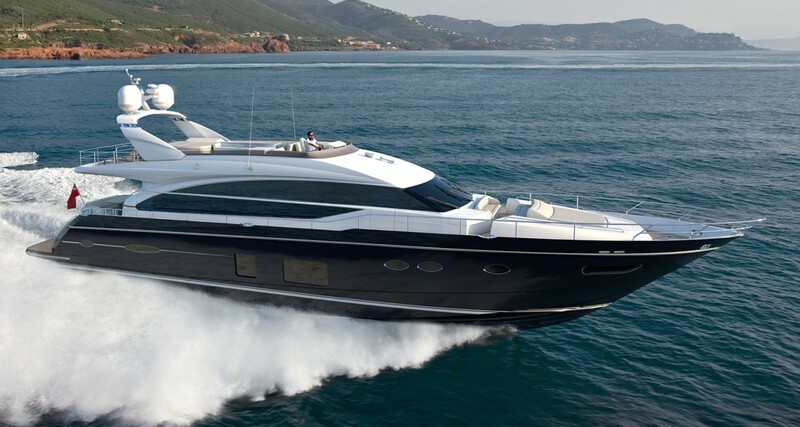 This boat is centrally listed by Asia Yachting.